Genghis Con was held in Denver this last weekend, and we have been excited about it for months. We were online, pre-registering our games the moment pre-registration opened. Thursday, the day we were to attend, I came down with the flu. No big deal, I thought. I can miss the first day and I know I will be well enough to go tomorrow. I was wrong. I missed the entire conference, and have to wait until Tacti Con this summer before I can attend another. 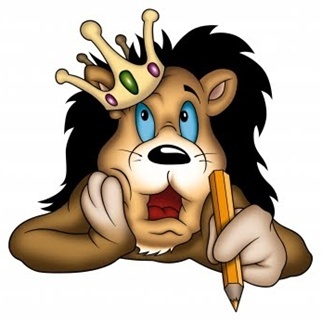 So, I am writing this post from inside a lion, and it’s very dark in here. Luckily, Corey was able to attend without me. He met a group of gaming friends and everybody proudly sported their Goblin Awareness T-shirts while they went to different games. Our campaign to raise sympathy for the poor caves of goblins may just be working! In case you missed our campaign, here is the video to educate you! Corey wrote up an article for me to post on our blog and fill everybody in on what a great time it was. Ladies and gentlemen, here is a word from my husband! Friday– Anticipation of the event woke me up well before dawn, and no amount of willpower could put me back to sleep. Making the best use of my time not sleeping, I took a final look at the rules for Goblin Pit Fight and Runes and Bones, the two games I previewed at con. By 6:45 in the morning I was on the road to the con with my friend Ron. That morning I played in a game with three high school students from Roosevelt High School who were part of a game club. The club sponsor and Science teacher brought them to Genghis Con on a field trip. I remember having to skip school to make the first day of Gen Con, and these kids get to call it a field trip. Props to Mr. Wells for seeing the educational value of games and giving up his weekend to sponsor this event for his students. Next, I played a wonderful game that is out of print called Master Thieves. The game involved an intricate puzzle box where players tried to place and find gems within it without setting off alarms or spilling gems out of the bottom. If you get a chance to play this game with 5-6 people, you won’t be disappointed. I spent the afternoon playing our two promotional games and meeting people. My head didn’t hit the pillow until well after midnight. Saturday – Saturday was equally exciting. I met the folks from World of Dice, who loved our Goblin Awareness T-shirts. We will be talking to them about collaborating on future projects with some possible stretch goals or something. Saturday night I played in the best Paranoia game I have ever played. Sunday – Sunday was mostly a promo game day, though I did sit in on a promo game from Rio Grande games, Spin Monkeys. It was the most accurate model of bumper cars you could expect from a board game. I felt like the kid whose mom makes him stay at the edge because I kept getting caught in the corner and bumped against the wall. The game is based on rotating your car based on cards with degrees of rotation on them. I think it would be a great game to teach the degrees of rotation because you play cards from 45 to 360 degrees to choose where you’re out of control Monkey drives his bumper car. I came home close to 7 Sunday night and, thankfully, yesterday was President’s Day because I needed the recovery time. Overall, this was a fantastic event and I am counting down the days to Tacti Con! So sorry to read you couldn’t make it, I hope you feel better. I caught the flu last year and the funny thing was I didn’t know I had it, I thought it was just a cold. Chicken noodle soup to the rescue! Glad to see that everything went well for you guys. How in the world could you not know you had the flu?? You must be far tougher than I am! Corey made me soup last night, I think it cured me and ailed him! He is the one that woke up sick this morning, while it was the first morning I woke up rested! I hadn’t had it in so long, I didn’t realize it. The only thing was my body ached, I didn’t have any other symptom. I take a product called Moringa. It’s very inexpensive, and it built up my immune system pretty well.